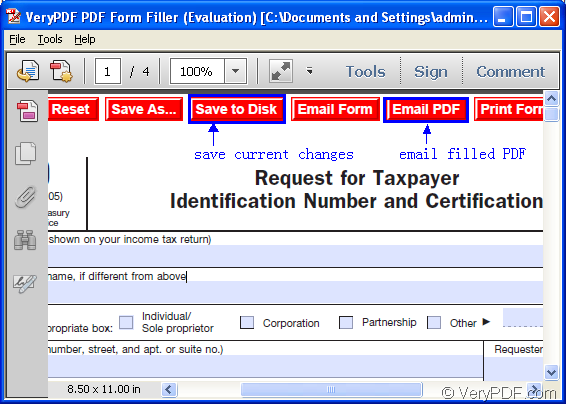 With the help of application VeryPDF PDF Form Filler, you can easily fill PDF forms and then email the filled PDF document. In this article, you will see how to do this work. Please go on reading the contents below. There are several steps for you to accomplish this kind of work. 1. Please free download VeryPDF PDF Form Filler and then install it on the computer by double clicking the installer. 2. Please open the application via Start menu or double click its icon. Of course, you can also use other ways. 3. When you open the application, please click File—Open to open file picker window in which you are able to choose PDF document with forms. 4. 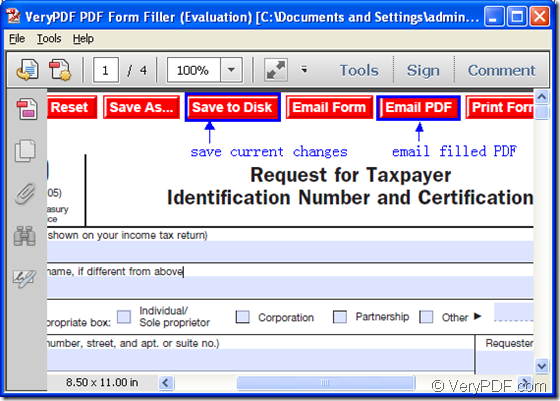 In the highlighted forms of PDF document, please fill in the content that you need. 5. Please remember that click Save to Disk button to save the changes you have made before doing any other operations. 6. 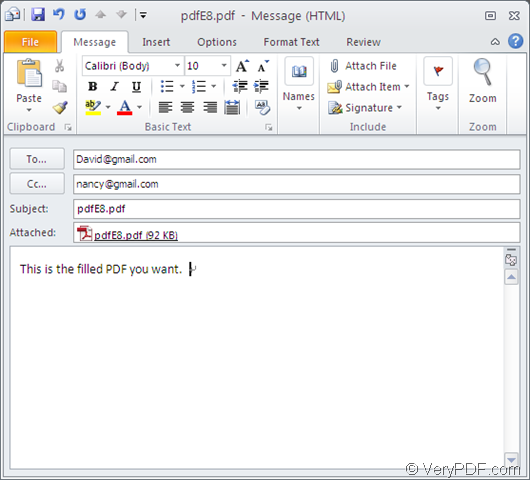 In order to email PDF document that you have filled, please click Email PDF button on the top of the application window. 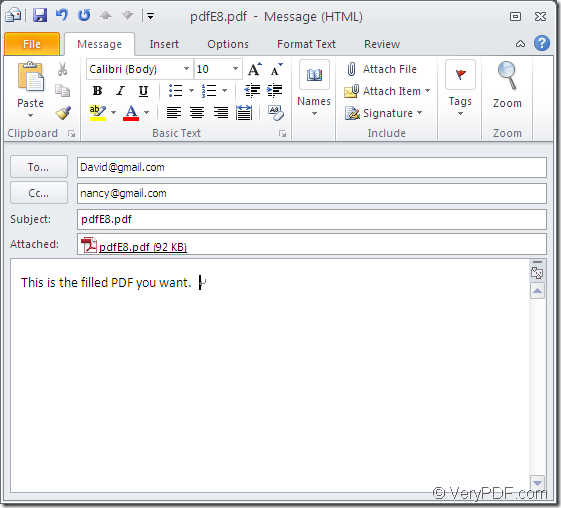 Via outlook of Microsoft, the filled PDF document will be added as attachment and you can set To and Cc, Subject and text content. Please see the whole process in next two snapshots. From the first snapshot, you can see that there are also other buttons for emailing different information of the filled PDF document. If you click the button Email Form, it means that emailing FDF file in your default email client application. This is the end of this article and you can visit the homepage of VeryPDF PDF Form Filler to get more information about it. At the same time, you can click the following button to free download the application. This entry was posted in PDF Form Filler and tagged email PDF, PDF forms. Bookmark the permalink.